DENVER – Continuing its mission to deliver Low Fares Done Right across the U.S., low-cost carrier, Frontier Airlines announced service on six new routes, including two new cities. Frontier announced it will bring its unique brand of low fares done right to Santa Barbara and Sacramento, Calif. In July, the carrier will continue its rapid growth in Raleigh-Durham with new flights to Detroit and Minneapolis as well as continuing expansion in Austin with new flights to Salt Lake City. 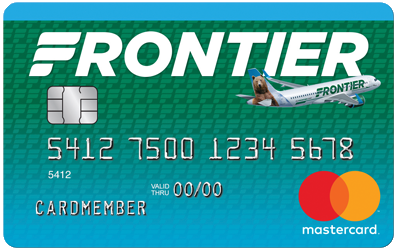 To celebrate the addition of these new routes, Frontier is offering special introductory fares as low as $49 available now at FlyFrontier.com. F9 1257 Depart AUS: 2:43 p.m. Arrive SLC: 4:36 p.m.
F9 1587 Depart SLC: 5:26 p.m. Arrive AUS: 9:16 p.m.
F9 629 Depart DEN: 4:50 p.m. Arrive SMF: 6:25 p.m.
F9 629 Deptart SMF: 7:25 p.m. Arrive DEN: 10:45 p.m.
F9 630 Depart DEN: 5:03 p.m. Arrive SMF: 6:38 p.m.
F9 630 Depart SMF: 7:38 p.m. Arrive DEN: 10:58 p.m.
F9 569 Depart DEN: 4:55 p.m. Arrive SBA: 6:33 p.m.
F9 570 Depart SBA: 7:24 p.m. Arrive DEN: 10:54 p.m.
F9 745 Depart LAS: 4:32 p.m. Arrive SMF: 6:03 p.m.
F9 748 Depart SMF: 6:53 p.m. Arrive LAS: 8:16 p.m.
F9 623 Depart RDU: 6:00 a.m. Arrive DTW: 7:50 a.m.
F9 890 Depart DTW: 9:34 p.m. Arrive RDU: 11:17 p.m.
F9 623 Depart RDU: 6:00 a.m. Arrive MSP: 7:52 p.m.
F9 462 Depart MSP: 6:46 p.m. Arrive: RDU 10:20 p.m.
Fares must be purchased by 11:59 pm Eastern time on May 2, 2018 for nonstop travel. Travel is valid Jul. 10, 2018 through Nov. 14, 2018. Fares are valid Tuesdays and Wednesdays.